I, Tito Mambo, have a problem. I often find myself fixated on subjects of little obvious consequence, and this affliction resurfaced last week on the topic...of all things!...of food storage bags. You see last week Walmart announced that it will no longer carry either the Glad or Hefty brands of storage bags. As you most likely know, Walmart has been recently pursuing a strategy of brand consolidation, and in this case, will consolidate their shelves around Ziploc and Great Value, the Walmart store brand. The goal of Walmart’s strategy is to reduce supply costs and at the same time increase sales margins. And Walmart is not alone. Both CVS and Walgreens are pursuing similar strategies. Anticipating this decision, Glad, Hefty and Ziploc increased their advertising spending about 67% in 2009 versus 2008. Hefty alone increased their spending by 500%. Little good did it do them. We are not sure why this news caught and held our attention. We don’t shop at Walmart, we don’t know anyone who works at any of these manufacturers, we couldn't tell you which brand of storage bag sits in the Mambo-family pantry. But what we do know is that increasingly the marketplace punishes the idle. Yes, such cruel justice was dispensed in the past, but is now more quick and unforgiving in its workings. And today we again became fixated on yet another news story. Heinz has revolutionized the ketchup package. Okay, perhaps a bit of hyperbole, but we felt the need to get your attention. It seems that the ketchup package, born in 1968, is no longer serving our needs. 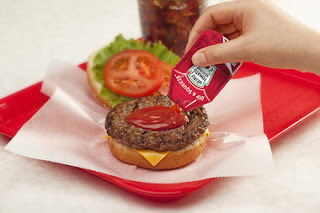 The ketchup package was originally created for use in the situation in which food was eaten at a restaurant table, where your brains and hands could focus on the tearing of the package, the squeezing of the ketchup, the repetition of the process until enough ketchup was dispensed. And of course, the ketchup had to be made suitable for your specific use. If you dunked your fries you needed to prepare your ketchup in a different and incompatible way to someone who squeezed the ketchup directly on to their fries. But the world has changed. Most of the foods that demand the companionship of ketchup are now eaten in cars, and the on-road manipulation of the ketchup pack threatens your shirt if you're a passenger and much more if you're the driver. So the product development people at Heinz bought themselves a used mini-van on the company dime and drove around eating fast food. They were looking for what we at marketmambo like to call an “empathetic” understanding of their consumer. The fruits of their effort is a new ketchup pack which holds three times the amount of the traditional pack and can be peeled open for dunking or torn open at one end for squeezing. It will rest nicely on the dashboard or console of most major brands of minivan. Yes, dear readers, it is Monday, but I was not so desperately in need of mental stimulation that I would declare genius in a new ketchup package design. But here’s the thing. 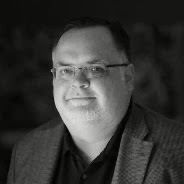 We as marketers are everyday challenged to add to or at least demonstrate the value of our products, and as we've said, when we fail in this task we are likely to be punished quickly. And yet we are given stewardship of products that long ago converged on category parity. So we paint our plow horses to look like thoroughbreds. Is that what the brand managers at Hefty did when they were invited to the shootout at the Walmart corral? Perhaps. In the untidy brain of your Tio Tito, the stories of Hefty and Heinz have been circling each other like playful dogs, and we turn to this post in search of peace. In the eden of their dreams, marketers find an improvement in their product that vanquishes the competitors. In the nightmares that inhabit their waking hours, they desperately bet their careers on price cuts and none-too-clever promotions. But a few find success not through some tedious chemist or tiresome creative director but through the simple insight of a package designer. Most packaging decisions are made to reduce product damage, to improve display, or discourage theft. But for many products packaging is some part of the "user experience". For some products its a significant part. 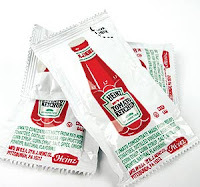 In a commodity category, let's use ketchup as an example, small packaging improvements to the packaging can create a better user experience and become a clear advantage versus the competition. But the world is still changing. As retailing moves from the store to the internet, the importance of display and security in packaging are reduced. The Walmart of the internet, Amazon, has asked its suppliers to join its "frustration free" packaging initiative and reduce the burden placed on consumers by clamshells and twist-ties. We at marketmambo propose a test. Call it the banana test. It goes like this: If the packaging of a product is a greater portion of the user experience than the peel is part of the banana experience, whether a source of pleasure, entertainment or frustration, then the packaging for that product has the potential to be a source of competitive advantage. Certainly ketchup passes this test, and we suspect that many other products will pass this test as well. If you missed the pop culture reference above, let me point it out to you. 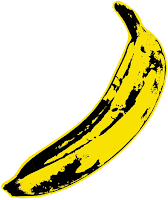 The banana graphic above was created by Andy Warhol for the 1966 album, The Velvet Underground & Nico. This was one of those rare albums which had more to do with the next ten years of music than the previous ten. 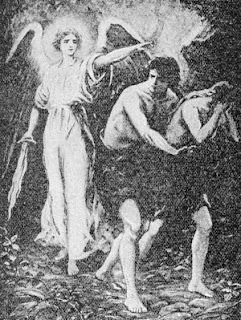 It's appearance on the cover is shown to the right. This has nothing to do with the post except that we'd like to offer our readers a treat in return for their time. We've embedded a video below of a rehearsal of the Velvet Underground set to our favorite song from the album, Waiting for the Man. Please enjoy.